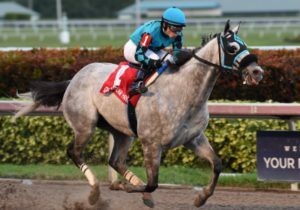 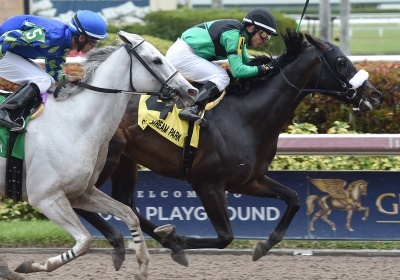 Three other OBS graduates won stakes races on the Sunshine Millions card. Michael Dubb’s World of Trouble went right to the front at the start of Tampa Bay Downs’ $125,000 Pasco Stakes and was much the best, drawing away with ease in the stretch and winning by 13-3/4 lengths. 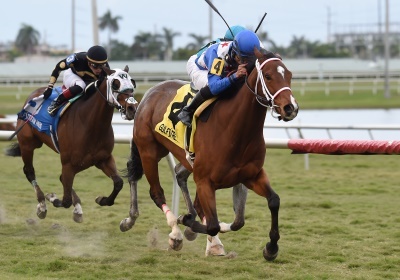 The time of 1:21.52 was .12 off OBS graduate Catalina Red’s seven furlong track record. 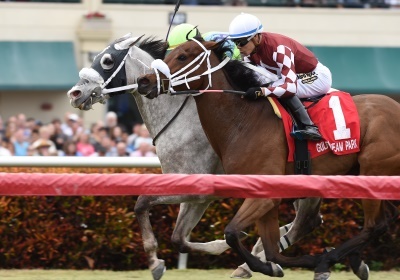 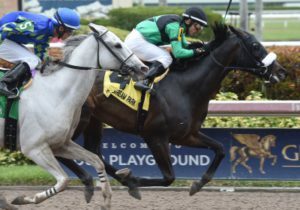 It’s the first stakes win for the 3-year-old Florida-bred colt by Kantharos, consigned by Darsan Inc., Agent to the 2016 OBS August Yearling Sale. Trained by Jason Servis, he’s now 3-2-1-0 and has earned $149,400.